When I try new dishes around Metro Manila, I usually post a picture of them on my Instagram profile (that is, if they’re #InstaWorthy). I rarely post about dishes that I dislike (what’s the point in doing so? 😃). I recently wrote about My Top 5 Burgers, and I thought it’d be cool to do another Top 5 but this time on RICE MEALS! Why top 5? Well, I only go with top 5 because it’s easy to remember and less to choose from when I need to decide on what to eat. I love rice – yes, I DO! All my friends can tell you that. I can’t eat as much as I used to, but I love my rice. (There was a time when I could eat 9 cups of rice at Mang Inasal – that hasn’t happened again since, though.) Another reason is because this is the Philippines and When in Manila, you’ve gotta eat RICE! How did I choose these 5 rice meals? To be honest, these are the 5 dishes that really ‘hit the spot’. I didn’t include my regular, default rice dishes like the Bacon Breakfast at Army Navy or the Sirloin Beef Tapa at Cafe Mary Grace simply because those will always be #InstaWorthy and will always #HitTheSpot! PS: These are not ranked in any particular order. Also, none of the items mentioned in this article were ‘paid’ to be here. Where do I begin? 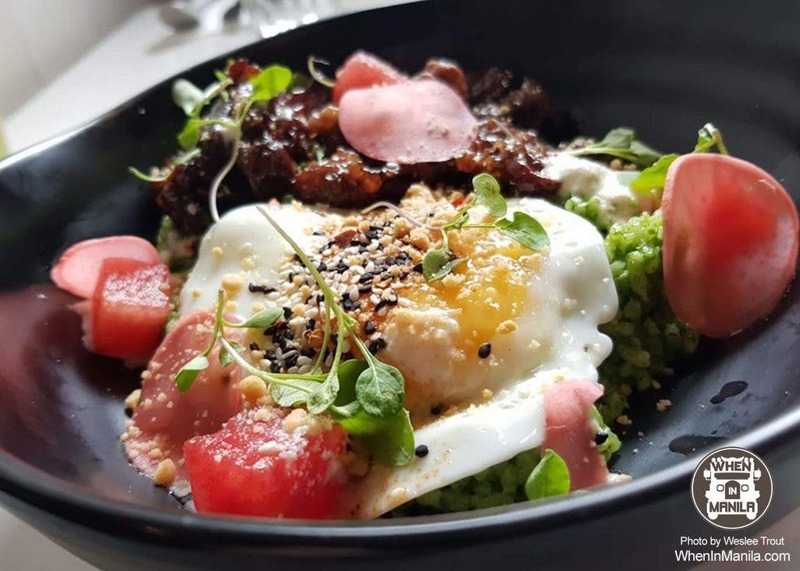 When I eat at Wildflour, I usually order my usual Wildflour Breakfast because I love the sausage, but I wanted to try something new one time, and the Braised Pork Belly caught my eye. It may be a bit pricey, but the flavors will have you dancing all day! Oh, and I believe they use Brown Rice for this – even healthier! What makes this Braised Pork Belly different? 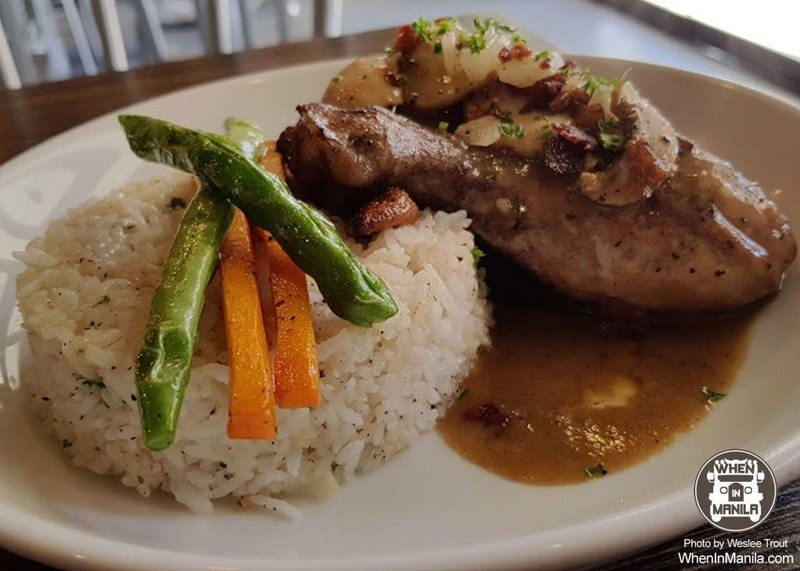 The adobo rice! Looking for healthy? This is it! It is not your typical Beef Tapa. I usually go for Mary Grace’s Beef Tapa (my all-time favorite), but I think this Grain Bowl tops that. 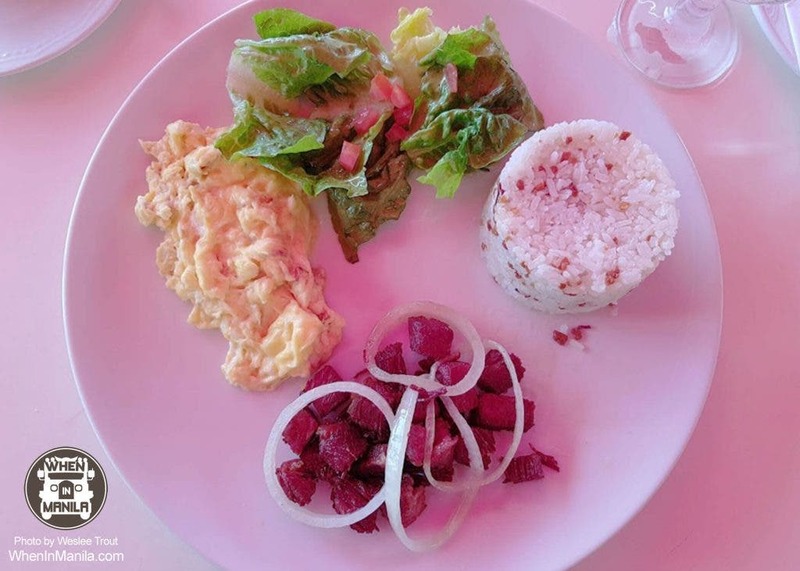 It’s not just flavorful tapa, it’s amazing because of all that’s in it. (Don’t ask me what’s in it – I have no clue. I just eat.) All I can say is that it all goes well together and tastes VERY GOOD. Pricey? A bit… but definitely worth it, believe me. After a long day’s work, I ended up eating here. I’ve eaten here before (both times, I had the Pulled Pork Adobo). I was going to get the adobo again, but went through the menu to see if they had any roast chicken. I saw the Coq Au Vin and it turned out to be pretty good! It didn’t last long, that’s for sure. Who doesn’t love shawarma rice? 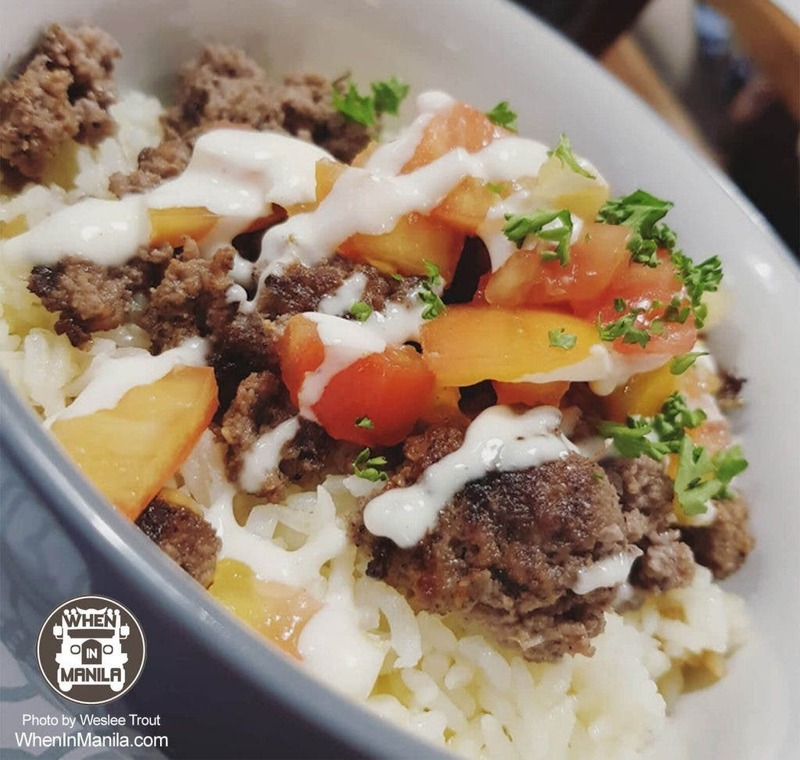 Sultan is in Makati, though; so if you plan on going on a weekday, be sure to get there by 11:30am to get a table. It’s usually full and has a line by 12. All of their food is good, but I like going for the Beef Shawarma Rice because it’s really good and is just perfect. We tried La Creperie after biking and I’d go back anytime! The Corned Beef has a bit of spiciness to it – which makes it even better. The serving size is pretty okay for the price, but I had to order an extra cup of rice to finish the Corned Beef 😃 . Try their crepes, too, because you cannot not have one. Every time I think about the moments I had with each one of these meals, I just want to get in the car and go do it again! Do you get that feeling sometimes? If you ever check out my Instagram Profile – @wesleetrout, you’ll see that I love #Food. So, if you have something you think I’ll like, shoot me a message on Instagram sometime! LOOK: These Slippers Have Paintings on Them!